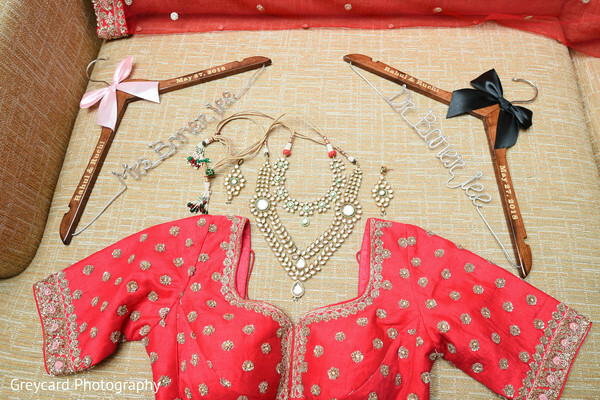 It is a rare treat indeed when a Bengali wedding falls on our editorial desks at Maharani Weddings. 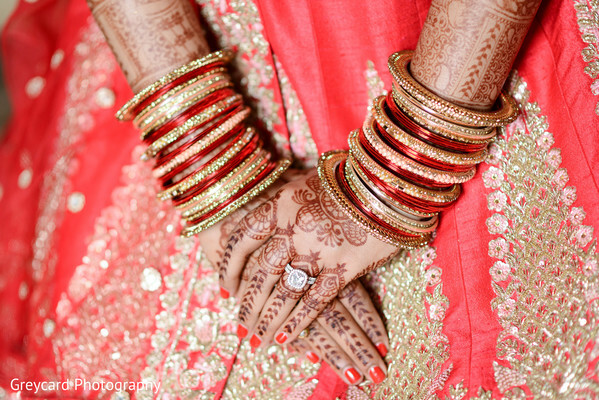 Bengali weddings are known for their full color and jaunty traditions intermixed with customs passed on from generations. 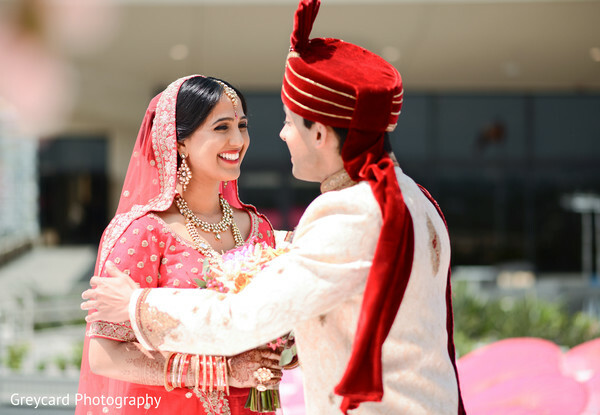 Maharani Ruchi knew that her wedding to Rahul would be one enriched in culture and her vision indeed came to fruition. 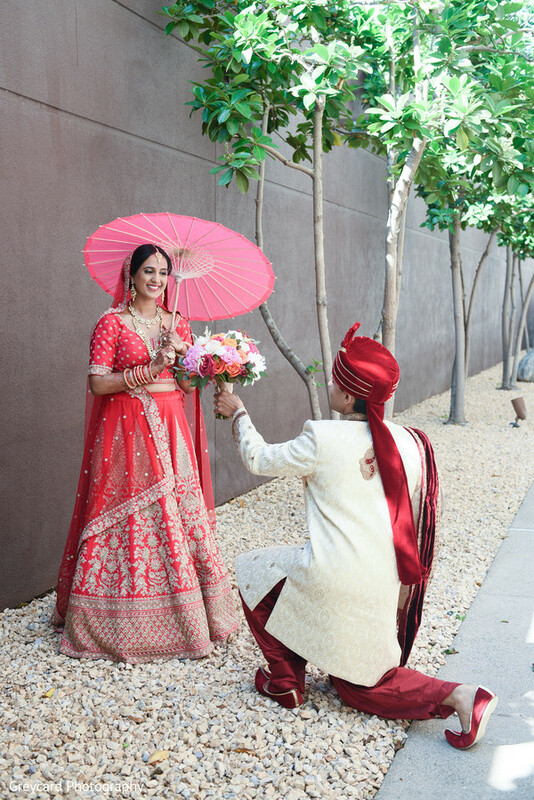 On the day of her wedding, Ruchi donned a customary, blush red lengha. Angievacamakeup was the makeup artist for the day and made our bride glow with rosy cheeks, gold-rimmed eyes, and bold, bold lips. 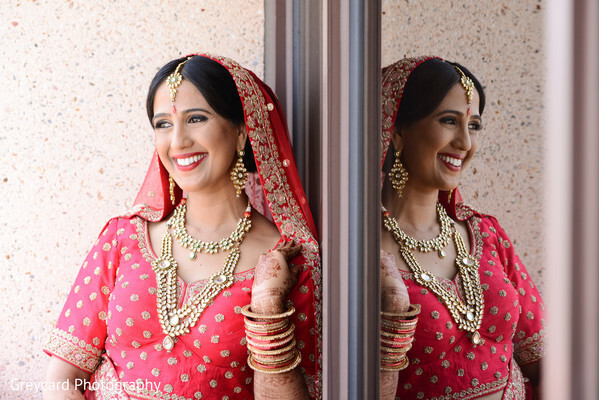 Ruchi's lip stain perfectly complimented her valorous lengha! 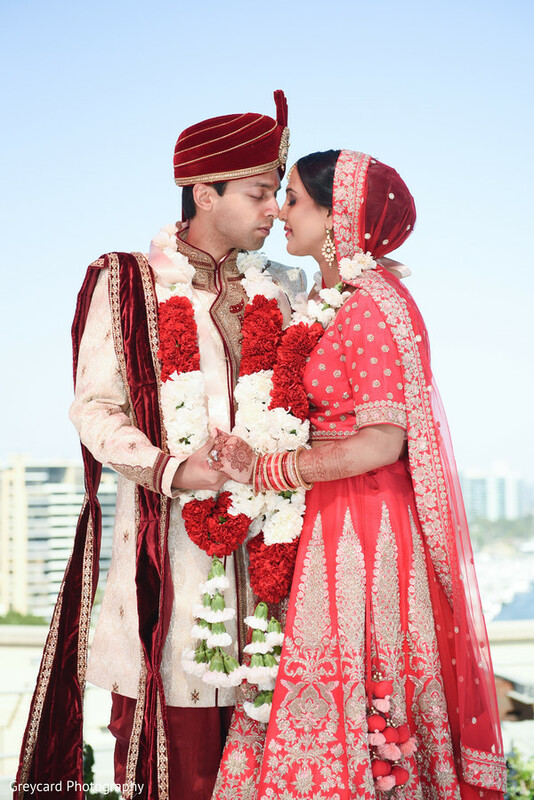 Ruchi's traditional wedding required elaborate preparations, including numerous ceremonies and Best Dream Weddings by Vanessa Doménech, was brought on to spearhead planning and design for the sequence of events. 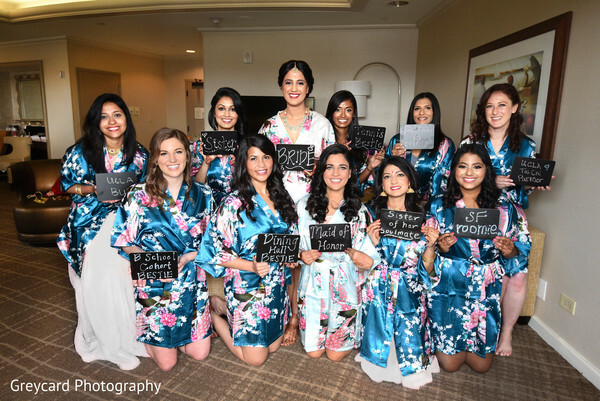 The all-star wedding vendor team included Three Petals, Enchanted Carriages, 3D Sounds, Avec Lumiere Productions, and Ronobir Lahiri Music! 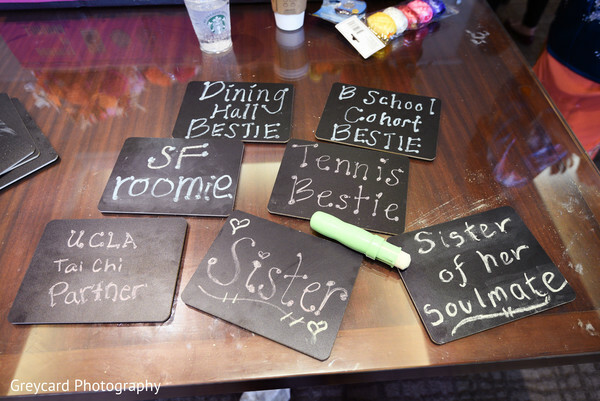 The different rituals, colors and the beautiful bride can be found in our gallery captured superbly by Greycard Photography. I have given you a sneak of the glorious wedding ceremony down below, so come back for the full feature publishing shortly! 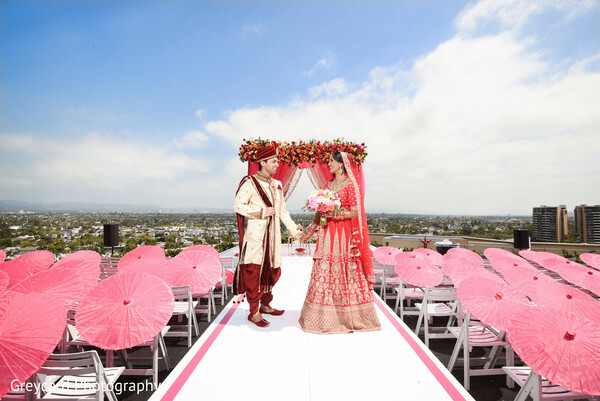 Beauty By NG Nida Gazi, Best Dream Weddings by Vanessa Doménech, Avec Lumiere Productions, Angievacamakeup, 3D Sounds, Ronobir Lahiri Music, Enchanted Carriages, Greycard Photography, Three Petals and Marina del Rey Marriott are members of the Platinum Guide. Love what you see? Explore their portfolios.